Since 1954, the French Fourth Republic had been mired in the Algerian War. 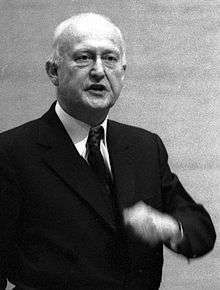 In May 1958, Pierre Pflimlin, a Christian-Democrat, became Prime Minister. He was known to be in favour of a negotiated settlement with the Algerian nationalists. On 13 May riots broke out in Algiers, with the complicity of the army. A rebel government seized power in Algiers in order to defend "French Algeria". The next day, General Massu demanded the return to power of General Charles de Gaulle. The rebellious generals took control of Corsica threatening to conduct an assault on Paris, involving paratroopers and armoured forces based at Rambouillet. In Paris, the political leaders were trying to find a compromise. On 1 June De Gaulle replaced Pflimlin to lead a government of national unity and nominated as Ministers of State (Vice-Prime Ministers) Pierre Pflimlin (Popular Republican Movement, MRP), Guy Mollet (French Section of the Workers' International (SFIO), Louis Jacquinot (National Center of Independents and Peasants, CNIP) and Félix Houphouët-Boigny. He obtained the right to develop a new Constitution. Only the Communists and some center-left politicians such as Pierre Mendès-France and François Mitterrand, opposed this "coup against the Republic". On 28 September the new Constitution was approved by 79.25% of voters. The Fifth Republic was born. The two-round system was re-established for the legislative elections. The Gaullists created the Union for the New Republic which became the largest parliamentary group. Their opponents were crushed. The division in the Left between the supporters and the opponents to the Fifth Republic explained, in due to this ballot system which encourages the alliances, the small number of left-wing MPs. On 21 December de Gaulle was elected President of France by an electoral college. His Justice Minister Michel Debré became Prime Minister. The pro-Fifth Republic center-left parties (SFIO and Radical Party) left the majority. 1 2 Macridis & Brown 1960, pp. 253-266. ↑ Macridis & Brown 1960, pp. 26-44. ↑ Laponce 1961, pp. 1-2. ↑ Laponce 1961, pp. 9-10; Macridis & Brown 1960, pp. 60-61. ↑ Macridis & Brown 1960, p. 62. 1 2 Watson 2003, pp. 123-129; Macridis & Brown 1960, pp. 81-91. 1 2 Macridis & Brown 1960, pp. 92-97. ↑ Laponce 1961, pp. 12-13; Macridis & Brown 1960, p. 154. ↑ Macridis & Brown 1960, p. 117. ↑ Macridis & Brown 1960, pp. 210-236, 335-358. ↑ Macridis & Brown 1960, pp. 249-266. ↑ Macridis & Brown 1960, p. 182, 270. ↑ Macridis & Brown 1960, p. 152, 273. ↑ Macridis & Brown 1960, pp. 242-246. Macridis, Roy C; Brown, Bernard Edward (1960). Long, Norton E., ed. 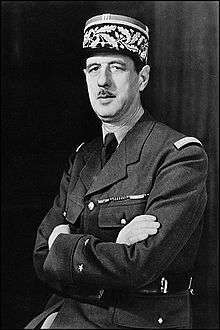 The De Gaulle Republic: Quest For Unity. The Dorsey Series in Political Science (1st ed.). Homewood: The Dorsey Press. LCCN 60-14048. OCLC 408387. Retrieved 11 November 2014. Laponce, J. A. (1961). The government of the Fifth Republic: French Political Parties and the Constitution. Berkeley, Los Angeles; London: University of California; Cambridge University. LCCN 60-14656. OCLC 501634. Retrieved 11 November 2014 – via Google Books. Watson, William E. (2003). Tricolor and Crescent: France and the Islamic World. Perspectives on the twentieth century (10th ed.). Westport: Praeger. ISBN 0-275-97470-7. ISSN 1538-9626. LCCN 2002030336. OCLC 50322732. Retrieved 11 November 2014 – via Google Books. Mitterrand, François (1964). Le Coup d'Etat permanent (in French). Paris: Plon.